You can enable external RAM using the next extra build_flags in “platformio.ini” (Project Configuration File) depending on a framework type. More details are located in the official ESP-IDF documentation - Support for external RAM. Actual information is available in Arduino for ESP32 Board Manifest. Please scroll to esp32.menu.DebugLevel section. Please add -D PIO_FRAMEWORK_ESP_IDF_ENABLE_EXCEPTIONS to build_flags of “platformio.ini” (Project Configuration File) to enable C++ exceptions for ESP-IDF. To override default table please use board_build.partitions option in “platformio.ini” (Project Configuration File). Sometimes you have a file with some binary or text data that you’d like to make available to your program - but you don’t want to reformat the file as C source. Multiple files are allowed and should be split by colon - :. The names are generated from the full name of the file, as given in COMPONENT_EMBED_TXTFILES. Characters /, ., etc. are replaced with underscores. The _binary + _nested_folder prefix in the symbol name is added by “objcopy” and is the same for both text and binary files. To upload SPIFFS image using OTA update please specify upload_port / --upload-port as IP address or mDNS host name (ending with the *.local). Transmit image over the air to the esp32 module with OTA support. 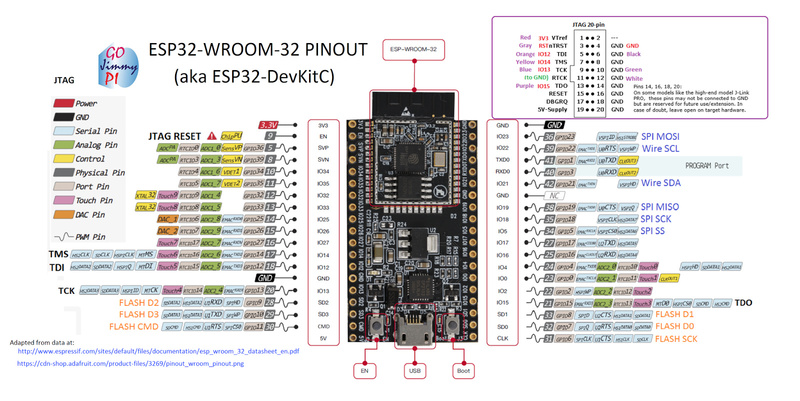 PlatformIO will install the latest Arduino Core for ESP32 from https://github.com/espressif/arduino-esp32. The Git should be installed in a system. To update Arduino Core to the latest revision, please open PlatformIO IDE and navigate to PIO Home > Platforms > Updates. You can switch between stable releases of Espressif 32 development platform and the latest upstream version using platform option in “platformio.ini” (Project Configuration File) as described below.